NASA Agency Group Achievement Award (Team), 2015, with a citation reading “For exceeding all expectations for GPM operations, data processing, algorithm performance, science impact, and education and public outreach within one year after launch”. NASA Robert H. Goddard Award (Team) for the category of Exceptional Achievement in Science, 2014, “For contributing to the success of NASA’s Global Precipitation Measurement Mission Ground Validation Team”. 1. 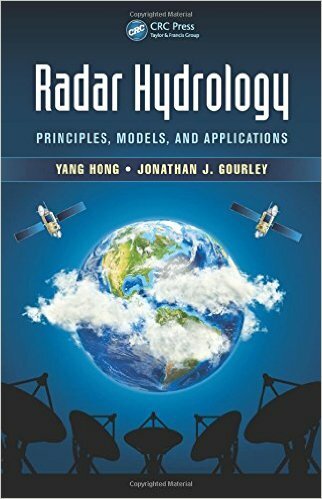 Hong, Y., and J. J. Gourley, 2015: Radar Hydrology: Principles, Models, and Applications, 1st ed., Boca Raton, CRC Press, 180 pp. 3. Gourley, J., and A. Arthur, 2015: Rainfall rate, use in the hydrological sciences In: Shekhar, S. and X Hiong (Eds.) Earth Sciences Series. Encyclopedia of GIS: SpringerReference (www.springerreference.com). Springer-Verlag Berlin Heidelberg. 2. Khanbilvardi, R., Temimi, M., Gourley, J., A. Zahraee, 2014: Satellite-based systems for flood monitoring and warning, Handbook of Engineering Hydrology, Ed. S. Eslamian, CRC Press, 515–530, ISBN:978-1-4665-5241-8, eBook ISBN: 978-1-4665-5244-9, doi:10.1201/b15625-26. 1. Hong Y., P. Adhikari, and J. Gourley, 2013: Flash Flood. In: Bobrowsky P. (Ed.) Earth Sciences Series. Encyclopedia of Natural Hazards: SpringerReference (www.springerreference.com). Springer-Verlag Berlin Heidelberg. 98. Zhang, K., J. Kimball, R. Nemani, S. Running, Y. Hong, J. Gourley, and Z. Yu, 2015: Vegetation greening and climate change promote multidecadal rises of global land evapotranspiration. Scientific Reports (in review). 97. Vergara, H., P. Kirstetter, J. Gourley, Z. Flamig, Y. Hong, A. Arthur, and R. Kolar, 2015: Estimating a-priori kinematic wave model parameters based on regionalization for flash flood forecasting in the conterminous United States. J. Hydrol. (in review). 96. Hardy, J., J. Gourley, P. Kirstetter, Y. Hong, F. Kong, and Z. Flamig, 2015: A method for probabilistic flash flood forecasting. J. Hydrol. (in review). 95. Schroeder, A., J. Gourley, J. Hardy, J. Henderson, P. Parhi, V. Rahmani, K. Reed, R. Schumacher, B. Smith, and M. Taraldsen, 2015: The Development of a flash flood severity index. J. Hydrol. (in review). 94. Zhang, Y., S. Reed, J. J. Gourley, B. Cosgrove, D. Kitzmiller, D.-J. Seo, and R. Cifelli, 2015: The impacts of climatological adjustment of quantitative precipitation estimates on the accuracy of flash flood detection. J. Hydrol. (in review). 93. Tao, J., D. Wu, J. Gourley, S. Zhang, W. Crow, C. Peters-Lidard, and A. Barros, 2015: Operational hydrological forecasting during the IPHEx-IOP campaign – Meet the challenge. J. Hydrol. (in review). 92. Wen, Y., P.-E. Kirstetter, Y. Hong, J.J. Gourley, Q. Cao, J. Zhang, Z. Flamig, and X. Xue, 2015: Evaluation of a real-time method to enhance ground radar-based rainfall estimates using climatological profiles of reflectivity from space, J. Hydrometeor. (accepted). 91. Saharia, M., P.-E. Kirstetter, H. Vergara, J. J. Gourley, and Y. Hong, 2015: Characterization of floods in the United States, J. Hydrol. (in review). 90. Sheng, C., J.J. Gourley, Y. Hong, Q. Cao, N. Carr, P.-E. Kirstetter, J. Zhang, Z. Flamig, 2015: Using citizen science reports to evaluate estimates of surface precipitation type, Bull. Amer. Meteor. Soc. (in press). 89. Xue, X., Y. Hong, K. Zhang, J. J. Gourley, W. Kellogg, R. A. McPherson, Z. Wan, and B. N. Austin, 2015: A new multi-site cascading calibration approach for hydrological models: A case study in the Red River Basin using the VIC model J. Hydrol. Eng. (in press). 88. Terti, G., I. Ruin, S. Anquetin, and J. J. Gourley, 2015: Dynamic vulnerability factors for impact-based flash flood prediction, Nat. Hazards (in press). 87. Carr, N., P. E. Kirstetter, Y. Hong, J. J. Gourley, M. Schwaller, W. Petersen, N.-Y. Wang, R. R. Ferraro, and X. Xue, 2015: The influence of surface and precipitation characteristics on TRMM TMI rainfall retrieval uncertainty. J. Hydrometeor. (in press). 86. Barthold, F. E., T. E. Workoff, B. Cosgrove, J. J. Gourley, D. R. Novak, and K. M. Mahoney, 2015: Improving flash flood forecasts: The HMT-WPC Flash Flood and Intense Rainfall Experiment. Bull. Amer. Meteor. Soc. (in press). 85. Khan, S. I., Y. Hong, J. J. Gourley, M. U. K. Khattak, 2015: Spatial and diurnal variability of monsoon systems assessed by TRMM rain rate over Indus Basin. IEEE J. Spec. Topics in Appl. Earth Obs. and Rem. Sens., doi: 10.1109/JSTARS.2015.2421947. Y. Hong, and J. J. Gourley, 2015: Water balance-based actual evapotranspiration reconstruction from ground and satellite observations over the conterminous United States, Water Resour. Res., 51, 6485–6499, doi:10.1002/2015WR017311. 83. Kirstetter, P. E., J. J. Gourley, Y. Hong, J. Zhang, S. Moazamigoodarzi, C. Langston, and A. Arthur, 2015: Probabilistic precipitation rate estimates with ground-based radar networks. Wat. Resour. Res., 51, 1422-1442, doi:10.1002/2014WR015672. 82. Kirstetter, P.-E., Y. Hong, J. J. Gourley, M. Schwaller, W. Petersen, and Q. Cao, 2015: Impact of sub-pixel rainfall variability on spaceborne precipitation estimation: evaluating the TRMM 2A25 product, Quart. J. Roy. Meteor. Soc., 141, 953-966. doi:10.1002/qj.2416. 81. Yong, B., D. Liu, J. J. Gourley, Y. Tian, G. J. Huffman, L. Ren, and Y. Hong, 2015: Global view of real-time TRMM Multi-satellite Precipitation Analysis: implication to its successor Global Precipitation Measurement mission, Bull. Amer. Meteor. Soc., 96, 283-296. doi:10.1175/BAMS-D-14-00017.1. 79. Yong, B., B. Chen, Y. Hong, J. Gourley, and Z. Li, 2015: Impact of missing passive microwave sensors on multi-satellite precipitation retrieval algorithm. Remote Sens., 7(1), 668-683; doi:10.3390/rs70100668. 76. Khan, S., Y. Hong, J. J. Gourley, M. U. Khattak, B. Yong, and H. Vergara, 2014: Evaluation of three high-resolution satellite precipitation estimates: Potential for monsoon monitoring over Pakistan, Adv. Space Res.., 54, 670-684. doi:10.1016/j.asr.2014.04.017. 74. Ducrocq, V., I. Braud, S. Davolio, R. Ferretti, C. Flamant, A. Jansa, N. Kalthoff, E. Richard, I. Taupier-Letage, P.-A. Ayral, S. Belamari, A. Berne, M. Borga, B. Boudevillain, O. Bock, J.-L. Boichard, M.-N. Bouin, O. Bousquet, C. Bouvier, J. Chiggiato, D. Cimini, U. Corsmeier, L. Coppola, P. Cocquerez, E. Defer, J. Delanoë, P. Di Girolamo, A. Doerenbecher, P. Drobinski, Y. Dufournet, N. Fourrié, J.J. Gourley, L. Labatut, D. Lambert, J. Le Coz, F.S. Marzano, G. Molinié, A. Montani, G. Nord, M. Nuret, K. Ramage, B. Rison, O. Roussot, F. Said, A. Schwarzenboeck, P. Testor, J. Van-Baelen, B. Vincendon, M. Aran, and J. Tamayo: 2014: HyMeX-SOP1: The field campaign dedicated to heavy precipitation and flash flooding in the northwestern Mediterranean, Bull. Amer. Meteor. Soc., 95, 1083-1100. doi: http://dx.doi.org/10.1175/BAMS-D-12-00244.1. 73. Cao, Q., Y. Wen, Y. Hong, J. J. Gourley, and P. E. Kirstetter, 2014: Enhancing quantitative precipitation estimation over the continental United States using a ground-space multi-sensor integration approach. IEEE Geo. Rem. Sens. Lett., 11, 1305-1309. doi://10.1109/LGRS.2013.2295768. 72. Seyyedi, H., E.N. Anagnostou, P.E. Kirstetter, V. Maggioni, Y. Hong, and J. J. Gourley, 2014: Incorporating surface soil moisture information in error modeling of TRMM passive microwave rainfall, IEEE Transactions on Geoscience and Remote Sensing, 52, 6226-6240. doi://10.1109/TGRS.2013.2295795. 70. Gourley, J. J., Z. L. Flamig, Y. Hong, and K. W. Howard, 2014: Evaluation of past, present, and future tools for radar-based flash flood prediction. Hydro. Sci. J., 59, 1377–1389. doi://10.1080/02626667.2014.919391. 67. Khan, S., Y. Hong, J. J. Gourley, M. U. Khattak, and T. De Groeve, 2014: Multi-sensor imaging and space-ground cross-validation for 2010 flood along Indus River, Pakistan, Remote Sens., 6, 2392-2407. doi:10.3390/rs6032393. 66. Clark, R. A., J. J. Gourley, Z. L. Flamig, Y. Hong, and E. Clark, 2014: CONUS-wide evaluation of National Weather Service flash flood guidance products, Wea. Forecasting, 29, 377-392. doi:10.1175/WAF-D-12-00124.1. 65. Chen, S., Y. Hong, Q. Cao, J. J. Gourley , P.-E. Kirstetter, B. Yong, Y. Tian, Z. Zhang, Y. Shen, J. Ju, and J. Hardy, 2013: Similarity and difference of the two successive V6 and V7 TRMM multisatellite precipitation analysis performance over China. J. Geophys. Res. Atmos., 118, 13060-13074. doi:10.1002/2013JD019964. 64. Chen, S., Y. Hong, J. J. Gourley, G. J. Huffman, Y. Tian, Q. Cao, B. Yong, P.-E. Kirstetter, J. Hu, J. Hardy, Z. Li, S. Khan, and X. Xue, 2013: Evaluation of the successive V6 and V7 TRMM multisatellite precipitation analysis over the Continental United States, Wat. Resour. Res., 49, 8174-8186. doi:10.1002/2012WR012795. 63. Chen, S., P. E. Kirstetter, Y. Hong, J. J. Gourley, Y. Tian, Y. Qi, Q. Cao, J. Zhang, K. Howard, J. Hu, and X. Xue, 2013: Evaluation of spatial errors of precipitation rates and types from TRMM spaceborne radar over the southern CONUS. J. Hydrometeor., 14, 1884-1896. doi:10.1175/JHM-D-13-027.1. 62. Dresback, K. M., J. G. Fleming, B. O. Blanton, C. Kaiser, J. J. Gourley, E. M. Tromble, R. A. Luettich, R. L. Kolar, Y. Hong, S. Van Cooten, H. J. Vergara, Z. L. Flamig, H.M. Lander, K.E. Kelleher, and K.L. Neumunatis-Monroe, 2013: Skill assessment of a real-time forecast system utilizing a coupled hydrologic and coastal hydrodynamic model during Hurricane Irene (2011). Continental Shelf Research, 71, 78-94. doi: 10.1016/j.csr.2013.10.007. 61. Yong, B., B. Chen, J. J. Gourley, L. Ren, Y. Hong, X. Chen, W. Wang, S. Chen, and L. Gong, 2013: Intercomparison of the Version-6 and Version-7 TMPA precipitation products over high and low latitudes basins with independent gauge networks: Is the newer version better in both real-time and post-real-time analysis for water resources and hydrologic extremes? J. Hydrol., 508, 77-87. doi:10.1016/j.jhydrol.2013.10.050. 60. Zhang, Y., Y. Hong, X-G. Wang, J. J. Gourley, J. Gao, H. Vergara, and B. Yong, 2013: Assimilation of passive microwave streamflow signals for improving flood forecasting: A first study in Cubango River Basin, Africa, IEEE Journal of Selected Topics in Applied Earth Observations and Remote Sensing, 6, 2375-2390. doi:10.1109/JSTARS.2013.2251321. 59. Chen, S., Y. Hong, Q. Cao, P. E. Kirstetter, J. J. Gourley, Y. Qi, J. Zhang, K. Howard, J. Hu, J. Wang, 2013: Performance evaluation of radar and satellite rainfalls for Typhoon Morakot over Taiwan: Are remote-sensing products ready for gauge denial scenario of extreme events? J. Hydrol., 506, 4-13. doi:10.1016/j.jhydrol.2012.12.026. 58. Xue, X., Y. Hong, A. S. Limaye, J. J. Gourley, G. J. Huffman, S. I. Khan, C. Dorji, and S. Chen, 2013: Statistical and hydrological evaluation of TRMM-based Multi-satellite Precipitation Analysis over the Wangchu Basin of Bhutan: Are the latest satellite precipitation products 3B42V7 ready for use in ungauged basins? J. Hydrol., 499, 91-99. doi:10.1016/j.jhydrol.2013.06.042. 57. Chen, H., D. Yang, Y. Hong, J. Gourley, and Y. Zhang, 2013: Hydrological data assimilation with the Ensemble Square-Root-Filter: Use of streamflow observations to update model states for real-time flash flood forecasting, Adv. Wat. Res., 59, 209-220. doi:10.1016/j.advwatres.2013.06.010. 56. Yong, B., L. Ren, Y. Hong, J. J. Gourley, X. Chen, J. Dong, W. Wang, Y. Shen, and J. Hardy, 2013: Spatial-temporal changes of water resources in a typical semiarid basin of North China over the past 50 years and assessment of possible natural and socioeconomic causes. J. Hydrometeor., 14, 1009-1034. doi:10.1175/JHM-D-12-0116.1. 55. Wen, Y., Q. Cao, P.-E. Kirstetter, Y. Hong, J. J. Gourley, J. Zhang, G. Zhang, and B. Yong, 2013: Incorporating NASA spaceborne radar data into NOAA National Mosaic QPE system for improved precipitation measurement: A physically based VPR identification and enhancement method, J. Hydrometeor., 14, 1293-1307. doi:10.1175/JHM-D-12-0106.1. 53. Maggioni, V., H. J. Vergara, E. N. Anagnostou, J. J. Gourley, Y. Hong, and D. Stampoulis, 2013: Investigating the applicability of error correction ensembles of satellite rainfall products in river flow simulations., J. Hydrometeor., 14, 1194-1211. doi:10.1175/JHM-D-12-074.1. 52. Kirstetter, P.-E., Y. Hong, J. J. Gourley, M. Schwaller, W. Petersen, and J. Zhang, 2013: Comparison of TRMM 2A25 products, version 6 and version 7, with NOAA/NSSL ground radar-based National Mosaic QPE. J. Hydrometeor., 14, 661-669. doi:10.1175/JHM-D-12-030.1. 51. Yong, B., L. Ren, Y. Hong, J. J. Gourley, Y. Tian, G. J. Huffman, X. Chen, W. Wang, and Y. Wen, 2013: First evaluation of the climatological calibration algorithm in the real-time TMPA precipitation estimates over two basins at high and low latitudes, Wat. Resour. Res., 49, 2461-2472. doi:10.1002/wrcr.20246. 50. Cao, Q., Y. Hong, Y. Qi, Y. Wen, J. Zhang, J. J. Gourley, and L. Liao, 2013: Empirical conversion of the vertical profile of reflectivity from Ku-band to S-band frequency, J. Geophys. Res. Atmos., 118, 1814-1825. doi:10.1002/jgrd.50138. 48. Cao, Q., Y. Hong, J. J. Gourley, Y. Qi, J. Zhang, Y. Wen, and P. E. Kirstetter, 2013: Statistical and physical analysis of the vertical structure of precipitation in mountainous west region of the United States using 11+ years of spaceborne observations from TRMM precipitation radar., J. Appl. Meteor. Climatol., 52, 408-424. doi:10.1175/JAMC-D-12-095.1. 47. Wang, J., L. Li, Z. Hao, and J. J. Gourley, 2013: Feasibility study of parameter transferability using a physically based hydrologic model with parameter optimization methods. J. Hydrol. Eng. (in press). 47. Zahraei, A., K-L. Hsu, S. Sorooshian, J. J. Gourley, Y. Hong, and A. Behrangi, 2013: Short-term quantitative precipitation forecasting using an object-based approach. J. Hydrol., 483, 1-15. doi:10.1016/j.jhydrol.2012.09.052. 46. Calianno, M., I. Ruin, and J. J. Gourley, 2013: Supplementing flash flood reports with impact classifications, J. Hydrol., 477, 1-16. doi:10.1016/j.jhydrol.2012.09.036. 45. Ruin, I., C. Lutoff, L. Creton-Cazanave, S. Anquetin, M. Borga, S. Chardonnel, J-D. Creutin, J. Gourley, E. Gruntfest, S. Nobert, and J. Thielen, 2012: Towards a space-time framework for integrated water and society studies. Bull. Amer. Meteor. Soc., 93, ES89-ES91. doi: 10.1175/BAMS-D-11-00226.1. 44. Kirstetter, P.-E., Y. Hong, J. J. Gourley, S. Chen, Z. L. Flamig, J. Zhang, M. Schwaller, W. Petersen, and E. Amitai, 2012: Toward a framework for systematic error modeling of spaceborne precipitation radar with NOAA/NSSL ground radar-based National Mosaic QPE. J. Hydrometeor., 13, 1285-1300. doi:10.1175/JHM-D-11-0139.1. 43. Zahraei, A., K.-L. Hsu, S. Sorooshian, J. J. Gourley, V. Lakshmanan, Y. Hong, and T. Bellerby, 2012: Quantitative precipitation nowcasting: A Lagrangian pixel-based approach. Atmos. Res., 118, 418-434. doi:10.1016/j.atmosres.2012.07.001. 41. Gourley, J. J., Z. L. Flamig, Y. Hong, and K. W. Howard, 2012: On the accuracy of the past, present, and future tools for flash flood prediction in the USA. IAHS Publ. 351, ISBN 978-1-907161-26-1, 435-440. 40. Yong, B., Y. Hong, L.-L. Ren, J. J. Gourley, G. J. Huffman, X. Chen, W. Wang, and S. I. Khan, 2012: Assessment of evolving TRMM-based multisatellite real-time precipitation estimation methods and their impacts on hydrologic prediction in a high latitude basin, J. Geophys. Res., 117, D09108, 1-21, doi:10.1029/2011JD017069. 39. Khan, S. I., Y. Hong, H. J. Vergara, J. J. Gourley, G. R. Brakenridge, T. De Groeve, Z. L. Flamig, F. S. Policelli, and B. Yong 2012: Microwave satellite data for hydrologic modeling in ungauged basins. IEEE Geo. Rem. Sens. Lett., 9, 663-667, doi:10.1109/LGRS.2011.2177807. 38. Liu, L., Y. Hong, J. E. Hocker, M. A. Shafer, L. M. Carter, J. J. Gourley, C. N. Bednarczyk, B. Yong, and P. Adhikari, 2012: Analyzing projected changes and trends of temperature and precipitation in the southern USA from 16 downscaled global climate models. Theor. Appl. Climatol., 109, 345-360, doi:10.1007/s00704-011-0567-9. 37. Gourley, J. J., J. M. Erlingis, Y. Hong, and E. Wells, 2012: Evaluation of tools used for monitoring and forecasting flash floods in the United States. Wea. Forecasting, 27, 158-173, doi:10.1175/WAF-D-10-05043.1. 36. Yong, B., L-L. Ren, Y. Hong, J. J. Gourley, X. Chen, Y-J. Zhang, X-L. Yang, Z-X. Zhang, and W-G. Wang, 2012: A novel multiple flow direction algorithm for computing the topographic wetness index. Hydrol. Res., 43, 135-145, doi:10.2166/nh.2011.115. 35. Kitzmiller, D., S. Van Cooten, F. Ding, K. Howard, C. Langston, J. Zhang, H. Moser, Y. Zhang, J. J. Gourley, D. Kim, D. Riley, 2011: Evolving multisensor precipitation estimation methods: Their impacts on flow prediction using a distributed hydrologic model., J. Hydrometeor., 12, 1414–1431, doi:10.1175/JHM-D-10-05038.1. 34. Wang J., L. Li, H. Zhenchun, and J. J. Gourley, 2011: Stream guiding algorithm in deriving flow direction from DEM and location of main streams. IAHS Publ. 346, ISBN 978-1-907161-21-6, 198-205. 33. Van Cooten, S., and co-authors, 2011: The CI-FLOW project: A system for total water level prediction from the summit to the sea. Bull. Amer. Meteor. Soc., 92, 1427-1442, doi:10.1175/2011BAMS3150.1. 31. Gourley, J. J., Y. Hong, Z. L. Flamig, and J. Wang, H. Vergara, and E. N. Anagnostou, 2011: Hydrologic evaluation of rainfall estimates from radar, satellite, gauge, and combinations on Ft. Cobb basin, Oklahoma. J. Hydrometeor., 12, 973-988, doi:10.1175/2011JHM1287.1. 29. Liao, Z., Y. Hong, D. Kirschbaum, R. Adler, J. J. Gourley, and R. Wooten, 2011: Evaluation of TRIGRS (Transient Rainfall Infiltration and Grid-based Regional Slope-Stability Analysis)’s predictive skill for hurricane-triggered landslides: A case study in Macon County, North Carolina. Nat. Hazards, 58, 325-339, doi:10.1007/s11069-010-9670-y. 28. Wang, J., Y. Hong, L. Li, J. J. Gourley, S. I. Khan, K. K. Yilmaz, R. F. Adler, F. S. Policelli, S. Habib, D. Irwin, A. S. Limaye, T. Korme, and L. Okello, 2011: The coupled routing and excess storage (CREST) distributed hydrological model. Hydrol. Sci. Journal, 56, 84-98, doi: 10.1080/02626667.2010.543087. 27. Khan, S. I., Y. Hong, J. Wang, K. K. Yilmaz, J. J. Gourley, R. F. Adler, G. R. Brakenridge, F. Policelli, S. Habib, and D. Irwin, 2011: Satellite remote sensing and hydrological modeling for flood inundation mapping in Lake Victoria Basin: Implications for hydrologic prediction in ungauged basins. IEEE Transactions on Geoscience and Remote Sensing, 49, 85-95, doi:10.1109/TGRS.2010.2057513. 26. Adhikari, P., Y. Hong, K. R. Douglas, D. B. Kirschbaum, J. J. Gourley, R. F. Adler, and G. R. Brakenridge, 2010: A digitized global flood inventory (1998-2008): Compilation and preliminary results. J. Natural Hazards, 55, 405-422, doi:10.1007/s11069-010-9537-2. 25. Wang, J., Y. Hong, J. J. Gourley, P. Adhikari, L. Li, and F. Su, 2010: Quantitative assessment of climate change and human impacts on long-term hydrologic response: a case study in a sub-basin of the Yellow River, China. International Journal of Climatology, 30, 2130-2137, doi: 10.1002/joc.2023. 24. Gourley, J. J., J. M. Erlingis, T. M. Smith, K. L. Ortega, and Y. Hong, 2010: Remote collection and analysis of witness reports on flash floods. J. Hydrol., 394, 53-62, doi:10.1016/j.jhydrol.2010.05. 23. Yong, B., L. Ren, Y. Hong, J. Wang, J. J. Gourley, S. Jiang, X. Chen, and W. Wang, 2010: Hydrologic evaluation of Multisatellite Precipitation Analysis standard precipitation products in basins beyond its inclined latitude band: A case study in Laohahe Basin, China. Wat. Resour. Res., 46, W07542, doi:10.1029/2009WR008965. 22. Gourley, J. J., S. E. Giangrande, Y. Hong, Z. L. Flamig, T. J. Schuur, and J. A. Vrugt, 2010: Impacts of polarimetric radar observations on hydrologic simulation. J. Hydrometeor., 11, 781–796. 21. Gourley, J. J., Y. Hong, Y., Z. L. Flamig, L. Li, J. Wang, 2010: Inter-comparison of rainfall estimates from radar, satellite, gauge, and combinations for a season of record rainfall. J. Appl. Meteor. Climatol., 49, 437-452. 20. Gourley, J.J., D.P. Jorgensen, S.Y. Matrosov, and Z.L. Flamig, 2009: Evaluation of incremental improvements to quantitative precipitation estimates in complex terrain. J. Hydrometeor., 10, 1507-1520. 19. Ortega, K.L., T.M. Smith, K.L. Manross, K.A. Scharfenberg, A. Witt, A.G. Kolodziej, and J.J. Gourley, 2009: The severe hazards analysis and verification experiment. Bull. Amer. Meteor. Soc., 90, 1519-1530. 18. Tabary, P., G. Vulpiani, J.J. Gourley, A.J. Illingworth, and O. Bousquet, 2009: Unusually high differential attenuation at C-band: Results from a two-year analysis of the French Trappes polarimetric radar data. J. Appl. Meteor. and Climat., 48, 2037–2053. 17. Gourley, J.J., A.J. Illingworth, and P. Tabary, 2009: Absolute calibration of radar reflectivity using redundancy of the polarization observations and implied constraints on drop shapes. J. Atmo. and Ocean. Tech., 26, 689-703. 16. Friedrich, K., U. Germann, J.J. Gourley, and P. Tabary, 2007: Effects of radar beam shielding on rainfall estimation for polarimetric C-band radar. J. Atmo. and Ocean. Tech., 24, 1839-1859. 15. Gourley, J.J., P. Tabary, and J. Parent-du-Chatelet, 2007: A fuzzy logic algorithm for the separation of precipitating from non-precipitating echoes using polarimetric radar observations. J. Atmo. and Ocean. Tech., 24, 1439-1451. 14. Gourley, J.J., P. Tabary, and J. Parent-du-Chatelet, 2007: Empirical estimation of attenuation from differential propagation phase measurements at C-band, J. Appl. Meteor. and Climat., 46, 306-317. 13. Gourley, J.J., P. Tabary, and J. Parent-du-Chatelet, 2006: Data quality of the Meteo-France C-band polarimetric radar, J. Atmo. and Ocean. Tech., 23, 1340-1356. 12. Gourley, J.J., and B.E. Vieux, 2006: A method for identifying sources of model uncertainty in rainfall-runoff simulations. J. Hydrology, 327, 68-80. 11. Zhang, J., K. Howard, and J.J. Gourley, 2005: Constructing three-dimensional multiple radar reflectivity mosaics: Examples of convective storms and stratiform rain echoes. J. Atmo. and Ocean. Tech., 22, 30-42. 10. Gourley, J.J. and B.E. Vieux, 2005: A method for evaluating the accuracy of quantitative precipitation estimates from a hydrologic modeling perspective. J. Hydrometeor., 6,115-133. 9. Gourley, J.J. and N. Dotzek, 2004: The effects of vertical air motions on radar estimates of rainfall. ERAD Publ. Ser. 2. 8. Gourley, J.J., R. A. Maddox, and B.M. Clarke, 2004: A multisensor approach to partitioning convective from stratiform echoes. ERAD Publ. Ser. 2. 7. Gourley, J.J. and C.M. Calvert, 2003: Automated detection of the bright band using WSR-88D radar data. Wea. Forecasting, 18, 585-599. 6. Gourley, J.J. and B.E. Vieux, 2003: The effects of radar-derived rainfall uncertainties on forecasts from a distributed hydrologic model. Weather Radar Information and Distributed Hydrological Modelling, Intl. Assoc. of Hydro. Sci. Publ. no. 282, 130-137. 5. Dotzek, N., J.J. Gourley, and T. Fehr, 2002: Vertical profiles of radar reflectivity and rain rate: Observational and modeling results. ERAD Publ. Ser. 1, 243-249. 4. Maddox, R.A., J. Zhang, J.J. Gourley, and K.W. Howard, 2002: Weather radar coverage over the contiguous United States. Wea. Forecasting, 17, 927-934. 3. Gourley, J.J., R.A. Maddox, D.W. Burgess, and K.W. Howard, 2002: An exploratory multisensor technique for quantitative estimation of stratiform rainfall. J. Hydrometeor., 3, 166-180. 2. Maddox, R.A., D.S. Zaras, P.L. MacKeen, J.J. Gourley, R. Rabin, and K.W. Howard, 1999: Echo height measurements with the WSR-88D: Use of data from single versus two radars. Wea. Forecasting, 14, 455-460. 1. Howard, K.W., J.J. Gourley, and R.A. Maddox, 1997: Uncertainties in WSR-88D measurements and their impacts on monitoring life cycles. Wea. Forecasting, 12, 167-174. Lakshmanan, V., J.J. Gourley, Z.L. Flamig, and S.E. Giangrande, 2009: A simple data-driven model for streamflow prediction, Preprints Twenty-Third Conf. on Hydrology and Seventh Conf. on Artificial Intelligence and its Applications to the Envir. Sci., Phoenix, AZ, Amer. Meteor. Soc. J6.2. Erlingis, J.M., J.J. Gourley, T.M. Smith, and K.L. Ortega, 2009: Development of a detailed database of flash flood observations, Preprints Twenty-Third Conf. on Hydrology and Symp. on Urban High Impact Weather, Phoenix, AZ, Amer. Meteor. Soc. JP2.8. Moser, H.M., J.J. Gourley, and Y. Hong, 2009: Accounting for temporal variation of hydraulic conductivity in the calibration of a distributed hydrologic model, Preprints Twenty-Third Conf. on Hydrology, Phoenix, AZ, Amer. Meteor. Soc. P3.4. Gourley, J.J., A.J. Illingworth, and P. Tabary, 2006: Radar calibration using consistency of polarization parameters and constraints for drop shapes. Preprints Fourth Conf. on Radar in Meteor. and Hydrology, Barcelona, Spain, ERAD Publ. Ser., 3. Tabary, P., A. Le Henaff, G. Vulpiani, J. Parent-du-Chatelet, and J.J. Gourley, 2006: Melting layer characterization and identification with a C-band dual-polarization radar: A long-term analysis. Preprints Fourth Conf. on Radar in Meteor. and Hydrology, Barcelona, Spain, ERAD Publ. Ser., 3. Vulpiani, G., Tabary, P., Parent-du-Chatelet, J., Gourley, J.J., 2006: Extensive comparison of various candidates for operational attenuation correction with a C-band polarimetric radar. Preprints Fourth Conf. on Radar in Meteor. and Hydrology, Barcelona, Spain, ERAD Publ. Ser., 3. Gourley, J.J., P. Tabary, and J. Parent-du-Chatelet, 2005: A new polarimetric method for correcting the effects of attenuation at C-band. Preprints Thirty-Second Conf. on Radar Meteor., Albuquerque, NM, Amer. Meteor. Soc. P9R.3. Gourley, J.J., P. Tabary, and J. Parent-du-Chatelet, 2005: Classification of hydrometeors and non-hydrometeors using polarimetric C-band radar. Preprints Thirty-Second Conf. on Radar Meteor., Albuquerque, NM, Amer. Meteor. Soc. 11R.4. Gourley, J.J., and A. J. Illingworth, 2005: Calibration of absolute reflectivity at C-band using redundancy of the polarization parameters in rain. Preprints Thirty-Second Conf. on Radar Meteor., Albuquerque, NM, Amer. Meteor. Soc. 9R.5. Gourley, J.J., B. Kaney, and R.A. Maddox, 2003: Evaluating the calibrations of radars: A software approach. Preprints Thirty-First International Conf. On Radar Meteor., Seattle, WA, Amer. Meteor. Soc., 459-462. Gourley, J.J. and B.E. Vieux, 2003: A hydrologic approach to evaluating quantitative precipitation estimates. Preprints Thirty-First International Conf. On Radar Meteor., Seattle, WA, Amer. Meteor. Soc., 714-717. Zhang, J., K.W. Howard, W. Xia, and J.J. Gourley, 2003: Comparison of objective analysis schemes for the WSR-88D radar data. Preprints Thirty-First International Conf. On Radar Meteor., Seattle, WA, Amer. Meteor. Soc., 907-910. Gourley, J.J., A.T. Arthur, J. Zhang, R.A. Maddox, K.W. Howard, and T. Vasquez, 2001: QIWI – A web-based flash flood monitoring tool. Preprints Thirtieth International Conf. on Radar Meteor., Munich, Germany, Amer. Meteor. Soc., 17-19. Zhang, J., J.J. Gourley, K.W. Howard, and R.A. Maddox, 2001: Three-dimensional gridding and mosaic of reflectivities from multiple WSR-88D radars. Preprints Thirtieth International Conf. on Radar Meteor., Munich, Germany, Amer. Meteor. Soc., 719-721. Gourley, J.J., J. Zhang, R.A. Maddox, C.M. Calvert, K.W. Howard, 2001: A real-time precipitation monitoring algorithm – Quantitative Precipitation Estimation and Segregation Using Multiple Sensors (QPE SUMS). Preprints Symp. on Precipitation Extremes: Prediction, Impacts, and Responses, Albuquerque, Amer. Meteor. Soc., 57-60. Gourley, J.J., K.W. Howard, and H. Winston, 2000: Employment of an S-band vertically pointing radar. Preprints Technical Conf. Meteor. and Environ. Instruments and Methods of Observation, Beijing, China, World Meteor. Org., 281-284. Gourley, J.J. and R.A. Maddox, 1999: Multiple sensor precipitation estimation over mountainous terrain. Preprints Fourteenth Conf. Hydrology, Dallas, Amer. Meteor. Soc., 25-28. Gourley, J.J., K.W. Howard and M.W. Douglas, 1998: An examination of the variability of deep convective cloudiness over Mexico during the warm season. Preprints Ninth Conf. Interaction of the Sea and Atmosphere., Phoenix, Amer. Meteor. Soc., 179-182. Flooded Locations And Simulated Hydrographs project (FLASH), 2011–present, Project Manager, Demonstration at the University of Oklahoma and National Severe Storms Laboratory to provide CONUS-wide forecasts of flash flooding at 1-km/5-min resolution in real time. Guest editor, Journal of Hydrology Special Issue on “Flash floods, hydro-geomorphic response and risk management” with I. Braud, M. Borga, F. Gallart, M. Hürlimann, and M. Zappa, 2014-present. Member of NASA Precipitation Measurement Mission (PMM) Science Team, 2013-present. Member of AGU’s Precipitation Technical Committee, 2010-present. Member of NOAA-NASA Steering Group on Global Precipitation Measurement Mission, 2012-present. Board member of Citizens for the Protection of the Arbuckle-Simpson Aquifer (CPASA), 2012-present. Instructor for UCAR/COMET virtual course on Flash Flood Hydrology and QPE, 2013. Organizing Committee Member for NASA GPM Applications Workshop, 2013, College Park, MD. Program Committee Member for AMS 36th Conference on Radar Meteorology, 2013, Breckenridge, CO.
Director of the National Weather Center’s Colloquium and Visiting Scientist Program, 2006-2012. Co-convener of EGU Spring Meeting 2012 session titled: “Flash flood forecasting and risk management” with M. Borga, J. Szolgay, E. Gaume, G. Aronica, G. Blöschl. Programme Committee Member for 7th European Conference on Radar in Meteorology and Hydrology, 2012, Toulouse, France. Co-chair of AGU Fall Meeting 2011 session titled: “Remote Sensing Applications in Hydrology IV” with A. Behrangi (JPL) and B. Mohanty, San Francisco, USA. Chair of International Symposium on Radar and Modeling Studies of the Atmosphere 2009 session titled: “Mitigation of Weather Hazards”, Kyoto, Japan. Co-chair of AGU Fall Meeting 2008 session titled: “Remote sensing and modeling of land surface hydrological processes IV” with Y. Hong (OU) and M Cosh (USDA-ARS), San Francisco, USA. National Research Council Postdoctoral Adviser, 2008-present. Volunteer for Exchange Club Center for the Prevention of Child Abuse of Oklahoma, Inc., 2008-2010. CEES 5020 – Radar Hydrology (co-instructor with Prof. Yang Hong), Fall Semester, 2012. Supervisor of post-doctoral research scientist, Heather Grams, at CIMMS/NSSL, 2013-present. Supervisor/Co-chair of graduate research assistant (Ph.D.), Galatia Terti, enrolled in the Hydrohazards programme at the Universite Joseph Fourier, Grenoble, France, 2014-present. Supervisor/Co-chair of graduate research assistant (Ph.D.), Zac Flamig, enrolled in the School of Meteorology at the University of Oklahoma, 2007-present. Supervisor/Co-chair of graduate research assistant (Ph.D.), Race Clark, enrolled in the School of Meteorology at the University of Oklahoma, 2010-present. Supervisor/Co-chair of NSF graduate research assistant (Ph.D.), Jess Erlingis, enrolled in the School of Meteorology at the University of Oklahoma, 2012-present. Supervisor/Committee member of graduate research assistant (Ph.D.), Elizabeth Argyle, enrolled in the Department of Industrial Engineering at the University of Oklahoma, 2013-present. Supervisor/Co-chair of graduate research assistant (Ph.D.), Manabendra Saharia, enrolled in the Department of Civil Engineering at the University of Oklahoma, 2013-present. Co-chair of graduate research assistant (M.S. 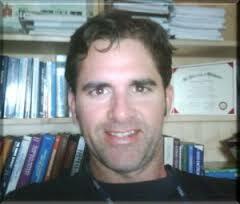 ), Grant Floyd, enrolled in Geographic Information Systems at the University of Oklahoma, 2014-present. Supervisor/Co-chair of graduate research assistant (M.S. ), Maria Moreno, enrolled in Geography at the University of Oklahoma, 2014-present. Supervisor/Co-chair of graduate research assistant (M.S. ), Brandon Smith, enrolled in Geographic Information Systems at the University of Oklahoma, 2013-present. Supervisor of graduate research assistant (M.S. ), Thibaut Wassner, enrolled in Civil Engineering at the L’École des Mines d’Alès, Alès, France, 2014. Supervisor/Co-chair of NSF graduate research assistant (M.S. ), Jill Hardy, graduate from the School of Meteorology at the University of Oklahoma, 2011-2014. Supervisor of graduate research assistant (M.S. ), Lily-Rose Lagadec, graduate from the Civil Engineering at the L’École des Mines d’Alès, Alès, France, 2013. Supervisor/Co-chair of NSF graduate research assistant (M.S. ), Gina Hodges, graduate from the Department of Civil Engineering, 2011-2014. Co-supervisor of post-doctoral research scientist, Pierre Kirstetter, at the University of Oklahoma/National Severe Storms Laboratory, 2011-2013. Committee member of M.S. student, Nicole Grams, graduate from the Department of Geography, 2013. Supervisor/Co-chair of M.S. graduate and Ph.D. student, Humberto Vergara, enrolled in Civil Engineering Dept. at University of Oklahoma, 2007-present. Committee member of Ph.D. student, Yu Zhang, graduate from the Department of Civil Engineering at the University of Oklahoma, 2011-2014. Supervisor of graduate research assistant (M.S. ), Martin Calianno, graduate from the Hydrohazards programme at the Universite Joseph Fourier, Grenoble, France, 2011-2012. Committee member of Ph.D. student, Evan Tromble, graduate from the Department of Civil Engineering at the University of Oklahoma, 2007-2011. Co-chair of M.S. student, Anita Nallapareddy, graduate from the School of Meteorology at the University of Oklahoma, 2009-2011. Supervisor of undergraduate research assistant, Jessica Erlingis, employed by the University of Oklahoma’s Cooperative Institute for Mesoscale Meteorological Studies, 2008-2010. Adviser of 2 undergraduate summer interns, Matt Van Every and David Cook, funded through NOAA’s Ernest F. Hollings Scholarship Program, 2007, 2008. Adviser of 1 undergraduate research student, David Moran, funded through NOAA’s Equal Employment Opportunity (EEO) program, 2006.